Our grenadilla vine, that has overtaken the neighbour’s tree, has gone into over-production. The area behind the cottage is covered in fallen grenadillas. 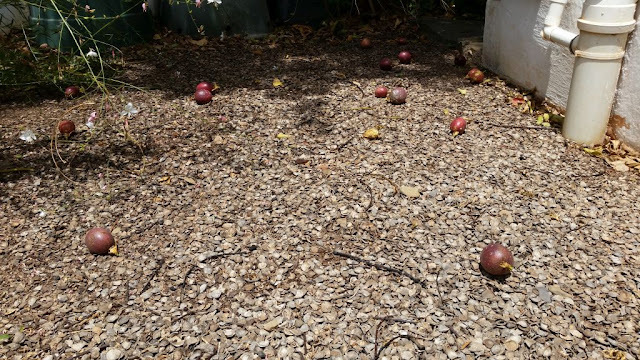 We are required to pick up the fruit at least three times a day. 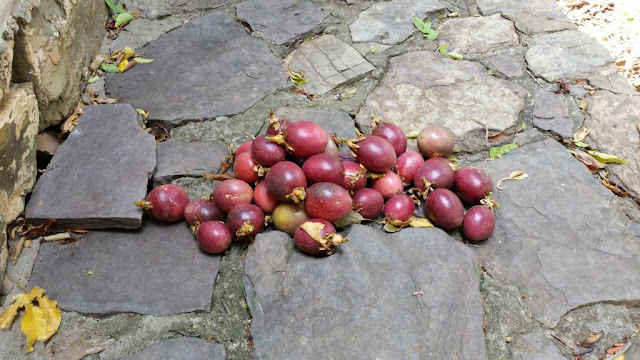 A walk in the garden is punctuated by the sound of dropping grenadillas. I pray that nobody gets a direct hit on the head in the process. The host tree has become a grenadilla tree. Any former identity has long disappeared under grenadilla vines that snake their way through its branches. A direct result is that we are enjoying grenadillas in salads, desserts and are sharing bags full with friends as far as we can. 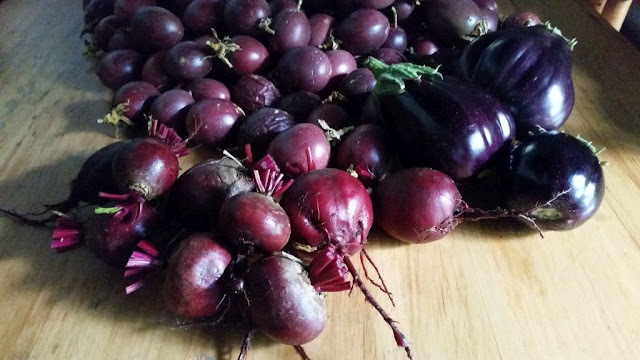 The kitchen table resembles a mountain of purple after the morning’s harvest of grenadillas, brinjals and beetroot. 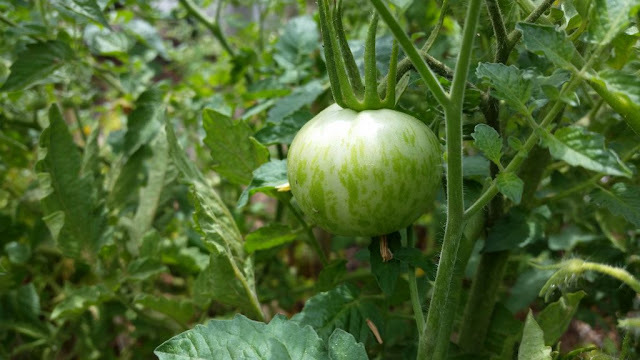 True to character, the garden is colour-coding the season’s production of fruit and vegetables. The bulk of which is purple with a brush of green and yellow, compliments of the courgettes and tomatoes. The green tomatoes are a joy as always, both in looks and flavour. 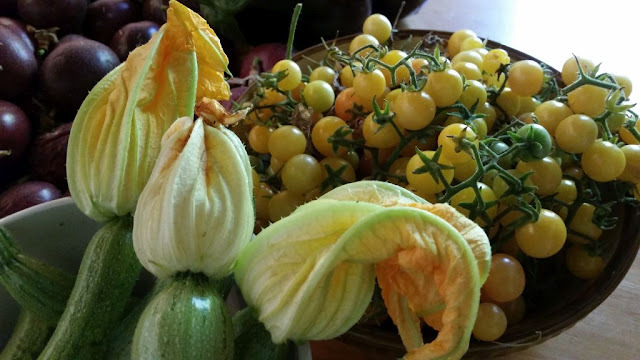 The pale green courgettes, with their bright yellow flowers, remind me of trays filled with courgette flowers at the Rialto vegetable market in Venice. I still dream of the luxury of making deep-fried stuffed courgette flowers. 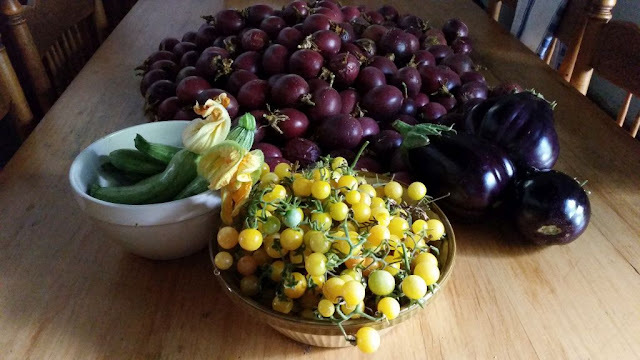 But at the moment, the garden is producing at such a rate, that I barely have time to prepare all the vegetables in all their regular forms. With the figs ripening and the almond skins peeling away from their nuts, it is clear that new flavours await us in the coming weeks. 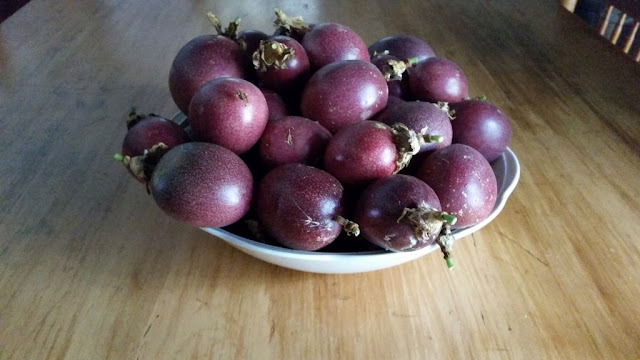 At the moment, it is the sweet and sometimes tart surprise of the grenadillas that is on offer. It is also most advisable to wear a hat, regardless of the weather, when venturing into the garden. The hat may offer some protection should one get caught in a shower of grenadillas behind the cottage. 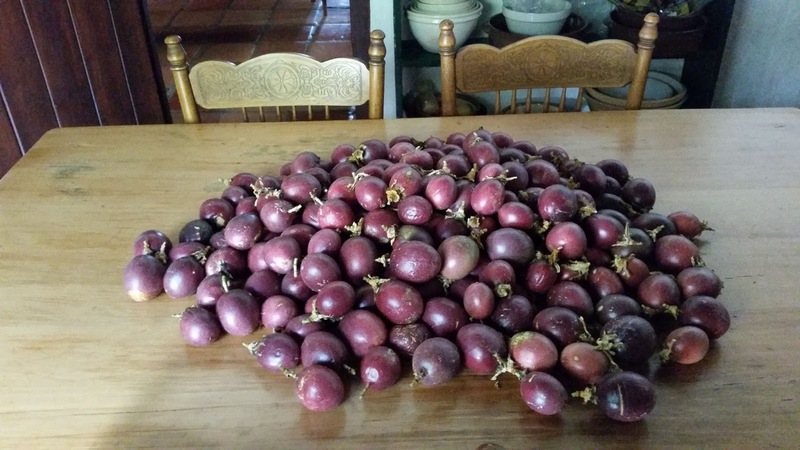 I had no idea that a single Grenadilla vine could be so prolific. Lovely post as always, thanks.